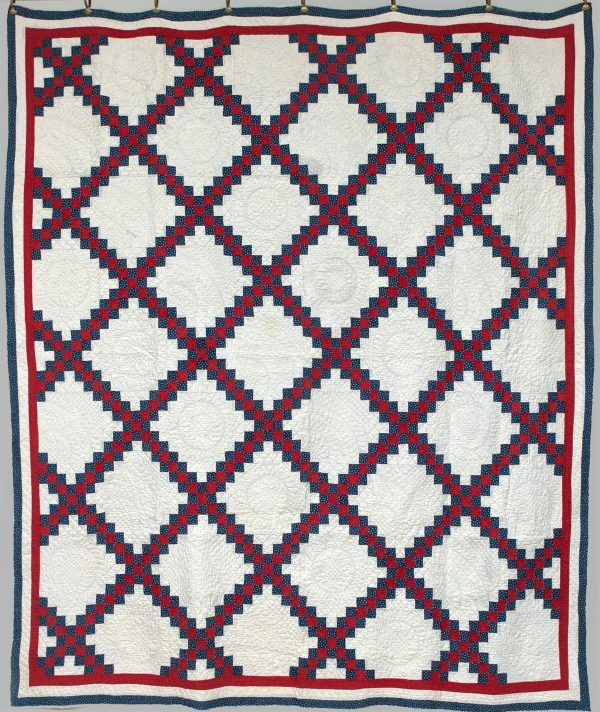 Classic c. 1880s red, white and blue Double Irish Chain/ Postage Stamp quilt (Washington P.A. Estate). 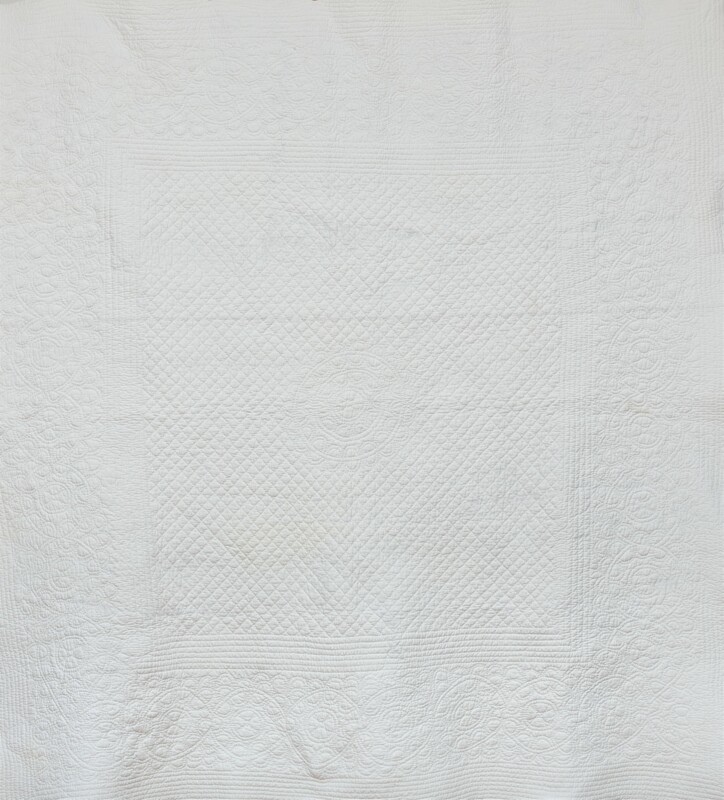 An exceptional and striking example of an antique Double Irish Chain quilt. 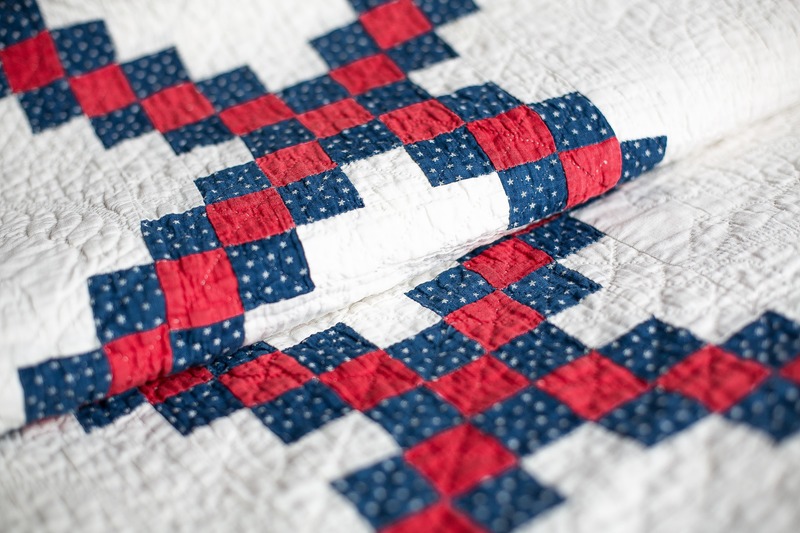 Unusual addition of tiny turkey red postage stamps (one square inch) give this quilt a stunning visual impact. 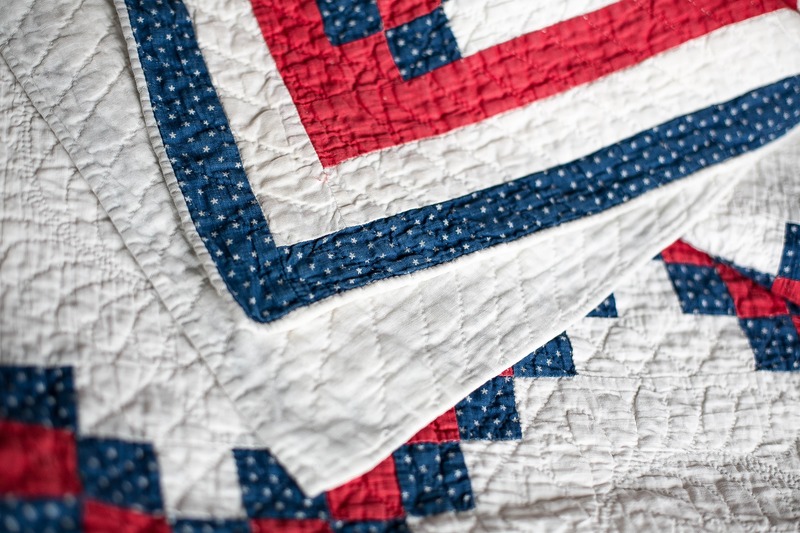 Expertly hand pieced, hand quilted and hand bound. 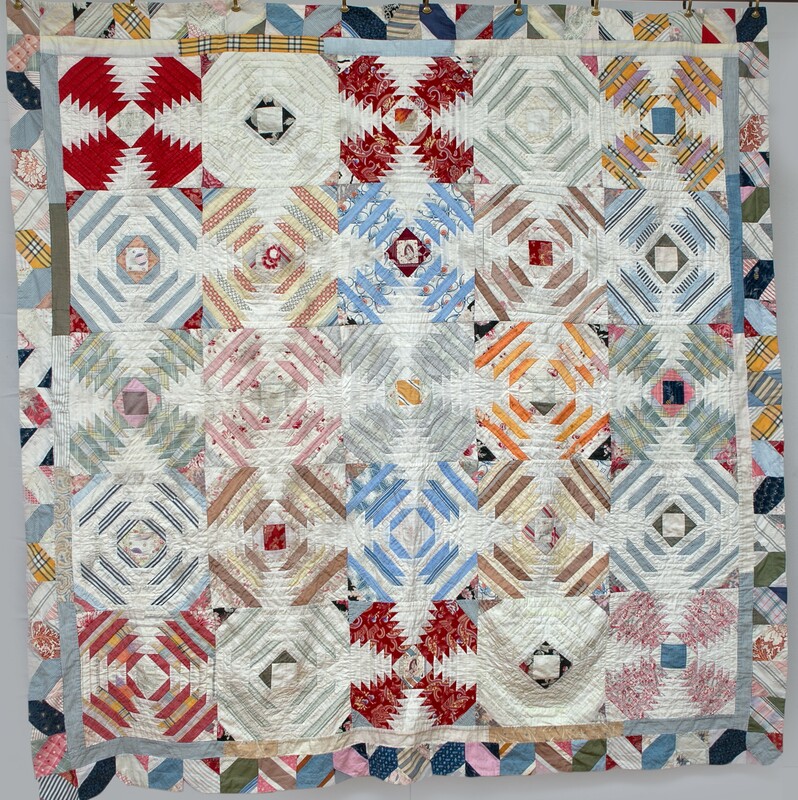 Neat and precise quilting displaying great skill, with dense small-scale grid, feathered wreath and straight line patterns. The Double Irish Chain is outlined with a red, white and blue border. The star speckled indigo fabric is set off against a plain turkey red. 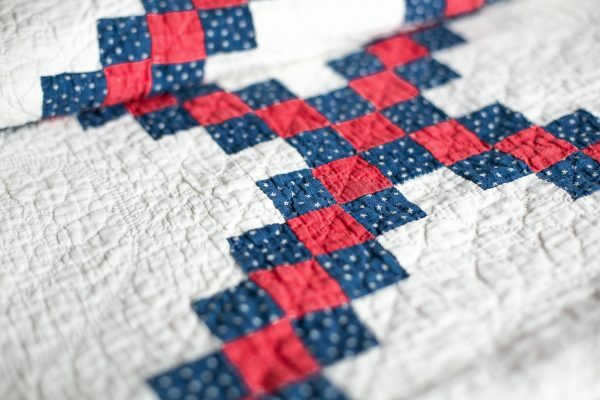 White patches are accented with quilting alone. Light weight. Cotton seed visible inside when held against the light. Brilliantly clean, excellent display quilt. Approx. 75 x 88 inches/ 190 x 225 cm.